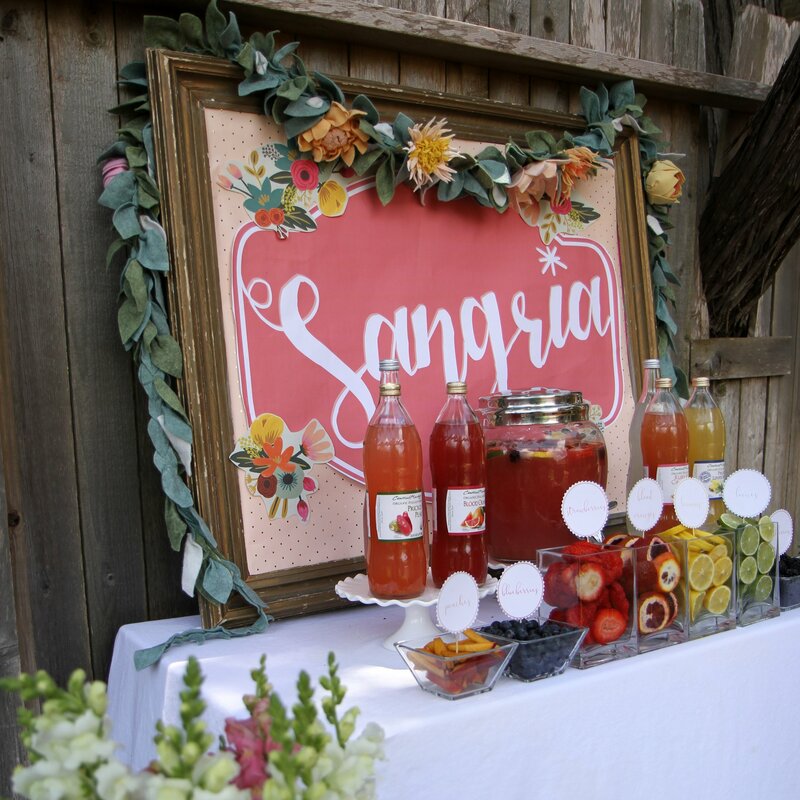 The first time we put together a Sangria Bar was YEARS ago (2013- I looked it up). 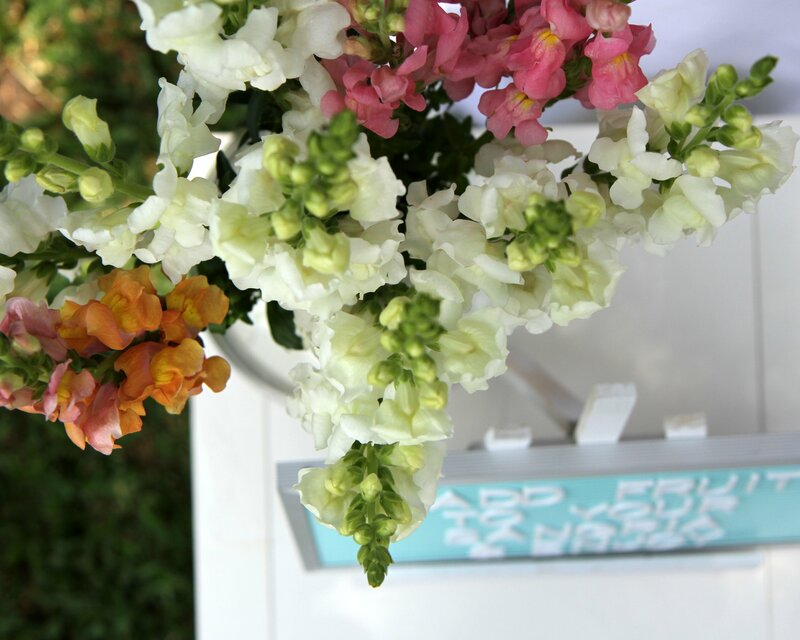 And it was an instant hit, both by wedding guests that got to enjoy it, and also on the internet (whoa Pinterest takeover!). 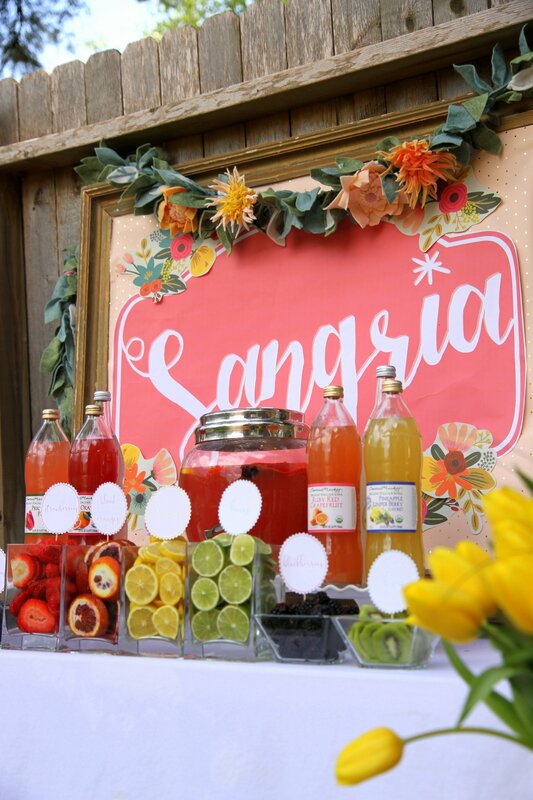 And even though we pretty much love all drink stations, the Sangria Bar remains one of our favorites. 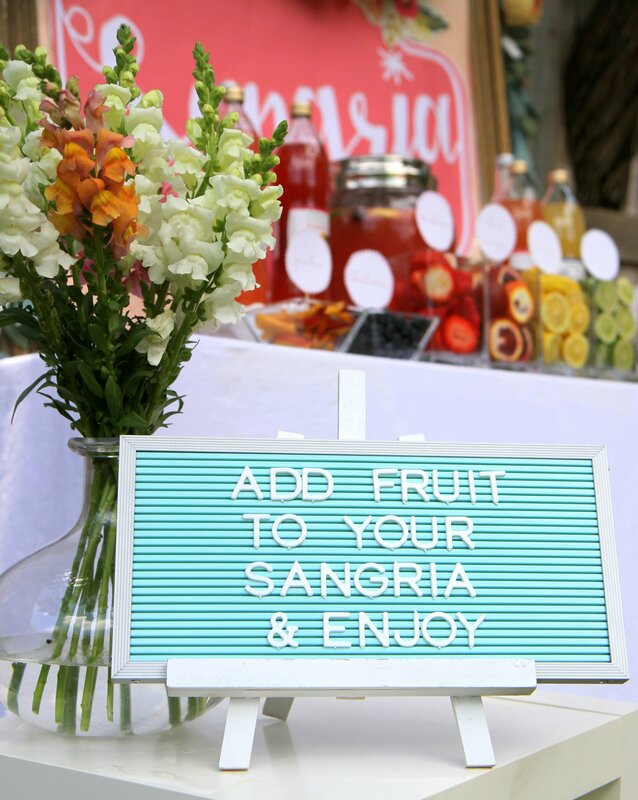 Probably because it’s so easy to make the Sangria ahead, and so easy to set up, and then such a hit during the party itself. 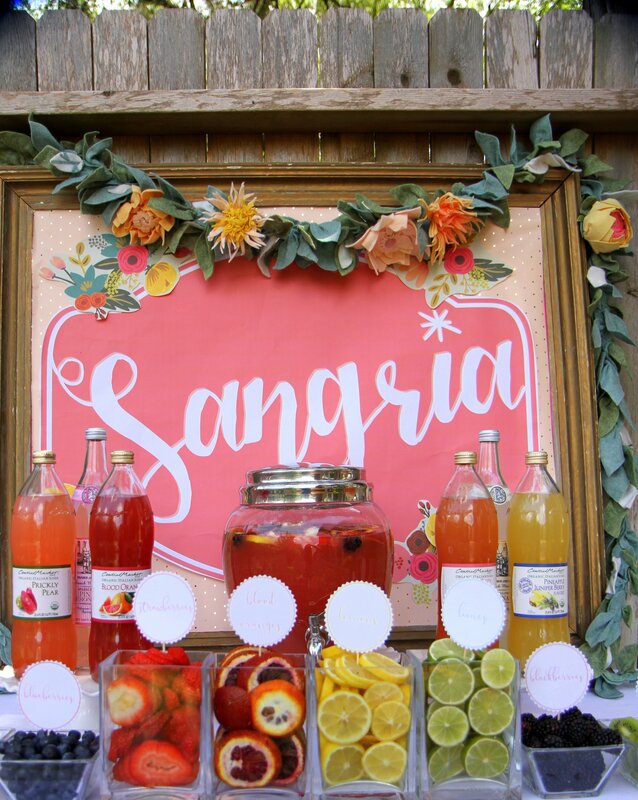 And also, I just love Sangria- haha. 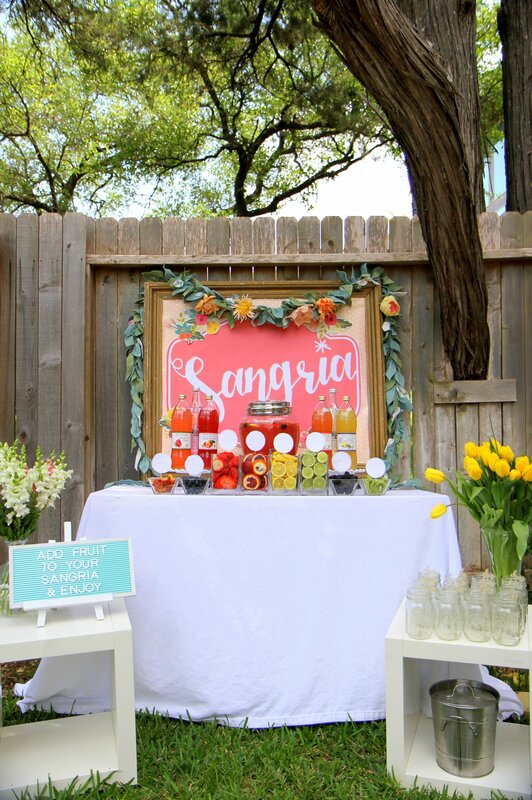 Last weekend, a friend and I hosted a backyard felt-flower-making party and added a Sangria Bar as our drink station. 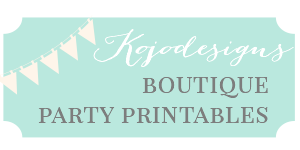 I took approximately seven pictures of the party itself (which is THE WORST because it was such a fun night and there were so many fun details… which just means we’ll have to do another one! 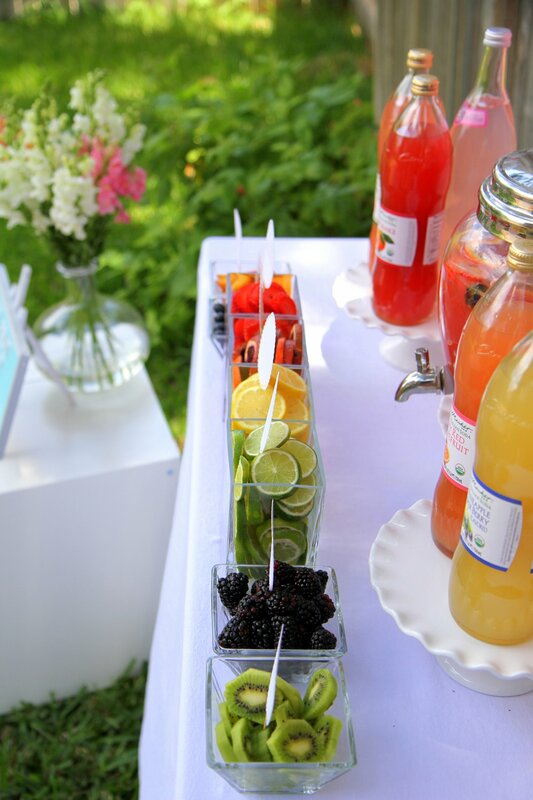 ), but I got a bunch of pictures of the Sangria Bar before hand. Love. Just still love this one. So much. Also, I should put together a Big Batch Sangria recipe post. In the meantime- this Blueberry Rosemary Sangria is THE BEST. 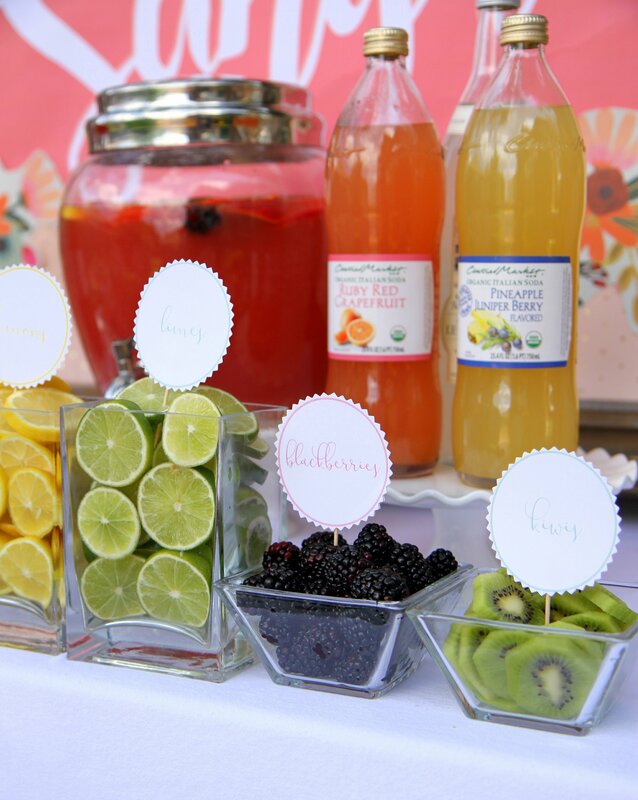 And this Prosecco Berry Sangria is perfect for summer! 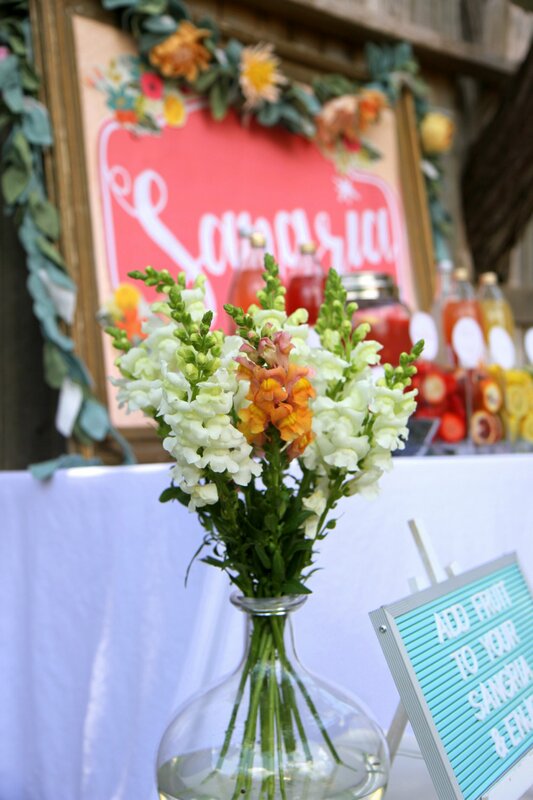 And this Rainbow Sangria wins the prize for the prettiest of all the sangrias.